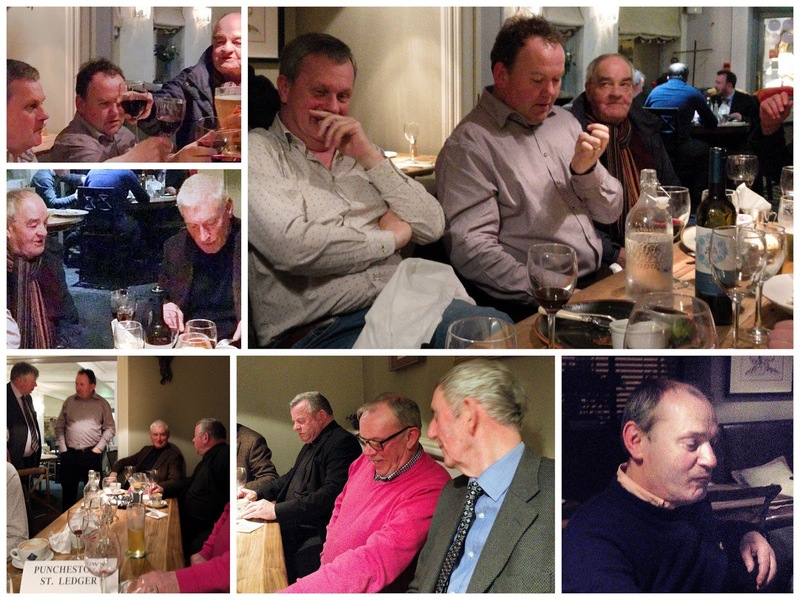 A special group dinner in Fallons last night had a bitter-sweet flavour, remembering the late Donal St Leger, writes Brian Byrne. It was organised by Ger Peacocke, and the assembly included Vinny Berney, Dave Byrne, Jim Collins, Michael Lambe, Aidan Sherry, Charlie Dowling and Niall Coleman, all longtime friends of Donal's. "The guest of honour was Fr Martin Harte, who was a great friend of Donal's too," says Dave Byrne. "Last year they were at Punchestown together, neither knowing that it would be Donal's last one." Punchestown was one of the times of the year that the late 'Saint' came home, and his absence was marked at this year's festival in the Naas Traders Tent, where Jim Collins had put a photograph on a Guinness cooler. "We had a great night in Fallons, and many a yarn was told ... and Brian Fallon gave it a nice touch by having Donal's photo on the menus."